Chevrolets are reliable and durable. My Chevrolet is very reliable vehicle. While I do love it is durability and extended back the size of the pickup is a little awkward but after driving it for a bit it can becomes easier. I haven't had any trouble with the engine or any other parts but have heard many others complain. Some other things that make the truck simple but easy is its manual rollup windows and door locking. The seats are fairly simple as well and the only shortcoming is its limited seating of 3 and if you fill it up get ready to be comfortable with your passenger because they'll be right up against you. The gas mileage is another thing to keep in mind, in my home state of washington it costs around $80 dollars to fill the tank but can run on the tank for almost 3 weeks on a busy schedule. Color can be another factor in your choice, my Chevy is white and while it looks nice it does take a lot of effort to maintain its shine and glory as using it for its intended purpose of moving loads of debris and other waste leaves marks. The airflow and conditioning is also excellent, compared to my friend's and family's cars my pickup truck is praised for it is fast working and effective air conditioning giving me the edge when it comes to summer time travel. I cannot give any recommendations on it is long distance travel as I personally stay close to home but it does get me around and makes me proud to be a owner of such a beautiful truck. 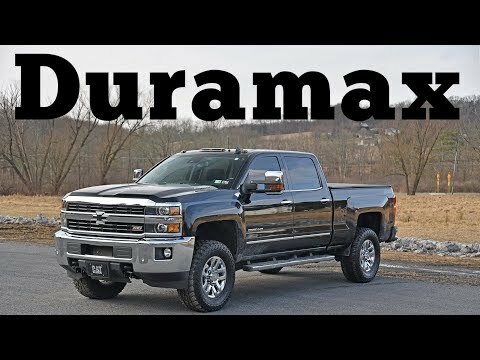 Trucks are not for everyone and this one takes a while to get comfortable with so if you like a good simple and reliable truck a Chevy would fit your needs. My reliable Chevy Silverado truck. Our 2006 light gray Silverado is a four wheel drive pickup truck. It has a back seat but not four doors. There is a door for the back but it folds up with the front door if you know what I mean. We bought the truck when it was one year old. It has been a great truck for us. We drove it 90 miles daily to work several years. Now we use it daily still since we are retired. It has 150, 000+ miles on it. We have never had to do anything major to it. We just had brakes, tires, and the usual wear and tear repairs. I am not certain of the gas mileage but I would say we get around 16-17 which is good for an older, high mileage truck. If I were looking to buy a new truck, this is exactly what I would buy again. The truck is great for hauling. I love this vehicle. It has a lot of power. Great in long trips. It is true a vehicle whose primary purpose is for individuals who work outside. I haven't had major problems with the vehicle. It has been dependable and awesome to use in heavy duty jobs. My husband and I have a fertilization and snow removal company. For the job that we are required to do, this vehicle are been helpful in transporting materials that we need in the job all year round. The only downside to this vehicle is the fuel type and the cost of fuel used in it. But overall it performs beautifully.